A new study has, for the first time, cut a clear path through a nettlesome problem: accurately measuring a powerful effect on global sea level that lingers from the last ice age. Just how quickly Earth's deep, rocky mantle is rebounding from the heavy burden of ancient ice sheets and oceans remains somewhat uncertain. But this rebound effect, known as glacial isostatic adjustment (GIA), is critical to properly understanding the causes of sea level change. Even getting a solid handle on the level of uncertainty associated with estimates of GIA has proven elusive. The new study offers a more rigorous way out of this thicket – establishing a formal system for assessing this uncertainty. That should lead to more realistic estimates of sea level change, and greater precision in projections of future sea level rise, according to the study's authors. Try out a NASA simulation of GIA from JPL's Virtual Earth Systems Laboratory here. While new findings based on strong data get most of the headlines, gauging levels of uncertainty also is important to scientific investigations. It's an especially thorny problem in the study of sea level change. Interpreting data from NASA's twin GRACE (Gravity Recovery and Climate Experiment) satellites offers one example. By measuring subtle shifts in gravity across Earth's surface, the GRACE satellites gathered an important 15-year-long data set, now being used to help determine how much sea level rise is caused by additional water mass. GRACE also can be used to track varying quantities of ocean water, changes in polar ice and the movement of water between oceans and land. GIA looms in the background of such measurements. 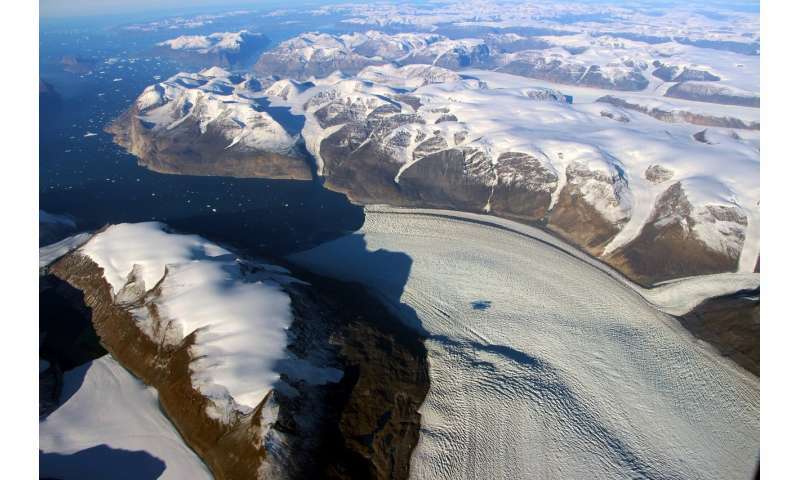 Pinning down the uncertainty connected with it more precisely helps scientists separate ice age and present-day processes, including how much of sea-level rise is driven by expansion of ocean water as it warms. Knowledge of GIA also helps clarify trends in water storage on land, measured by satellite as well as ground-based instruments. Another question it can help clear up: how alterations in the shape of ocean basins caused by GIA contributes to apparent sea level changes. Previous studies attempted to put a fence around uncertainty using various methods, Caron said. These included running repeated computer models and culling out all but a handful that seemed to provide the best match, or "fit," to what the data gathered by GRACE and other observation platforms show. Differences among the "best fit" models then can be used to reveal likely levels of uncertainty in interpreting the data. "People started comparing a handful of models, some of them relying on similar assumptions and setups, and concluding that the differences between them were essentially how much uncertainty we had over GIA," Caron said. "That's fine, but it doesn't allow us to explore the entire range of possible scenarios. We need a more formal approach." The new study relies on technological improvements, which have only become possible within the past decade, to carry out a high number of computer simulations – in this case, more than 100,000. By more systematically exploring the range of GIA scenarios, Caron's team seeks to turn discrepancies among different models into a virtue. They framed the question in a new way: How different can models be while still matching the data? From this spread of models and a method called the Bayesian approach, better statistics on uncertainty can be retrieved. The new assessment also is based on GPS time series measurements from 459 sites in Europe, North America and Antarctica, and more than 11,000 records of relative sea level – that is, sea level in relation to coastal elevation. This allows the parameters controlling the GIA rebound to be more thoroughly scrutinized. The new framework translates into what Caron calls the first formal uncertainties for GIA on a global scale. The study reveals an underestimate of uncertainty levels for GIA estimates, he said – from a typical 20 percent uncertainty in previous studies to a median value of 44 percent. In polar regions, GIA has a large impact on the interpretation of gravity data. That leads to refinements in uncertainty levels for sea level rise in specific locations around the world. In the New Orleans region, for example, applying the new method yields a prediction of a 1 millimeter rise in relative sea level per year, with an uncertainty of 0.4 millimeters per year. Caron said he hopes the new formal uncertainties will be a useful tool not only for researchers, but for city planners as well. "We want to give them a measure of confidence for the average scenario, and what is the worst-case scenario they would have to plan for – how much the country has to invest in modernizing infrastructure, reconstructing piers, or to mitigate flooding," he said.